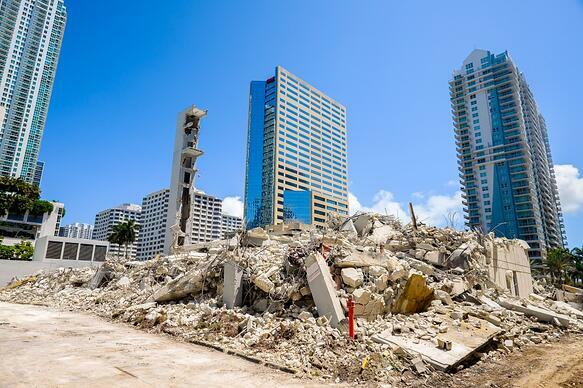 Demolition projects that involve older buildings often also involve asbestos building materials. There is no doubt that proper demolition and disposal of asbestos material costs more than just knocking down a building and carting off the debris to the nearest landfill, but the costs of not doing it properly are even greater--to the pocketbook and to the health of construction workers and community members. Asbestos violations are expensive in every way. We are reading today of two companies in Seattle which were recently hit with huge fines for numerous asbestos violations on an apartment house demolition project. The facts are the facts: there is no safe level of exposure to asbestos. The workers on that demolition site and countless other community members may have inhaled asbestos fibers during the demolition and afterwards. Asbestos causes lung diseases including mesothelioma, a form of cancer that takes years or even decades to present, but is not curable. At Alliance Environmental Group, we hope that no one involved in this project is ever diagnosed with a lung disease related to asbestos exposure and we encourage all building owners, contractors and workers to become informed about the dangers of asbestos and the materials which might contain it, to better protect workers and communities from this hazardous material. And for more information, download a free copy of our Asbestos, Lead Paint & Mold eBook to learn how to mitigate the liability risks associated with common environmental threats found in residential properties.